I’m surprised it’s taken me this long to get to Mr. Meyerowitz. I’ve cited his landscapes of Tuscany as having a huge influence on my work and definitely consider ‘Cape Light’ one of my all-time favorite collections. Joel Meyerowitz was born in New York, 1938. He began photographing in 1962 and his early influences include Robert Frank and Henri Cartier-Bresson. Meyerowitz is often labeled a street photographer and he is an amazing street photographer, but he is so much more. He creates portraits, landscapes and documentary works and excels at them all. 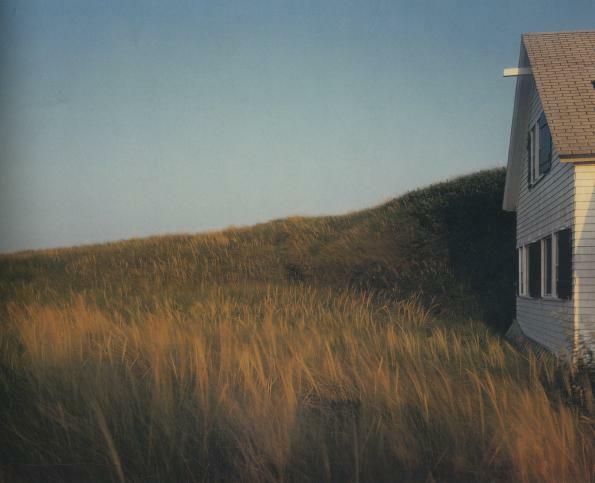 Meyerowitz was an early proponent of the idea of color photography as serious art form. He began working in large format color in 1972 and taught the first color photo course at Cooper Union in New York. He is the author of 20 books and his first published book was Cape Light. His photographs have appeared in over 350 exhibitions in museums and galleries world-wide. Meyerowitz is a quintessential New York photographer. He documented the aftermath of the World Trade Center attack and was the only photographer allowed unrestricted access to ground zero immediately following the attack.